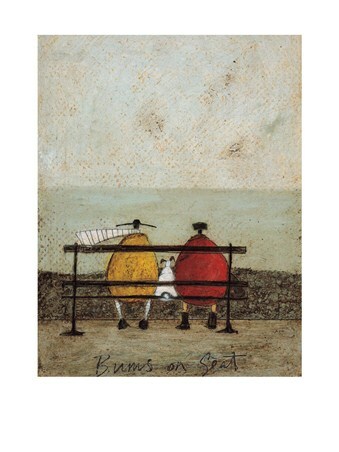 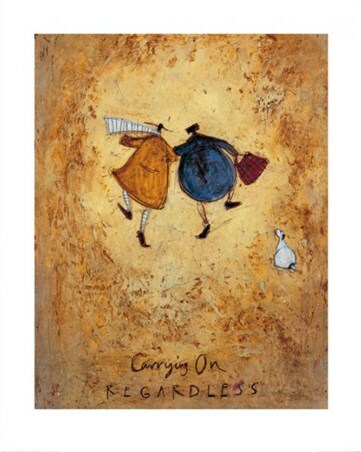 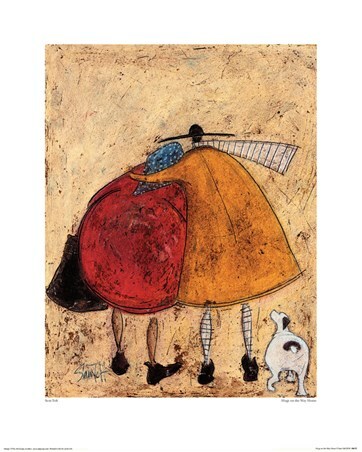 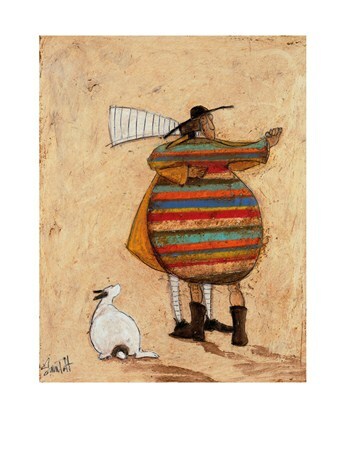 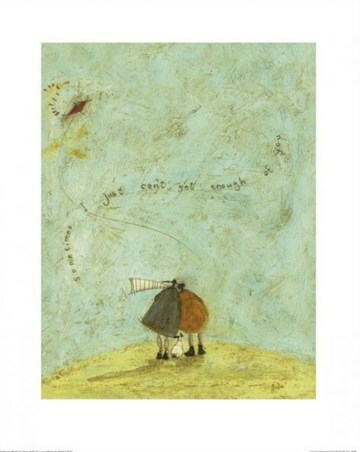 Art Print: If you have a soft spot for Sam Toft's Mr Mustard collection then you will adore this heart warming picture. The famous Ernest Mustard and his wife Violet are pictured here sharing a tender moment as they dance 'Cheek to Cheeky'. Watched intently by Doris, their rather portly Jack Russell, you can almost hear that soothing, romantic music they must be listening to. 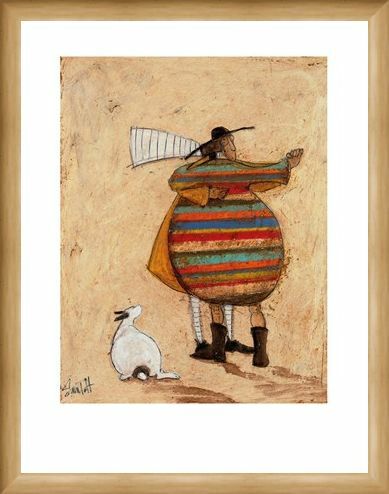 With Mr Mustard wearing his typical yellow overcoat and Violet in a rather fetching colourful and stripy one, this art print by the much loved Sam Toft would be perfect for bringing that loving feeling into your home. 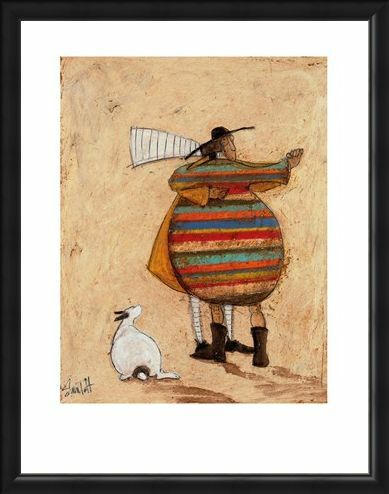 High quality, framed Dancing Cheek to Cheeky, Sam Toft print with a bespoke frame by our custom framing service.